Who among them could win the title? 2018 has been a great year in terms of One Day International (ODI) cricket as the cricket fraternity has experienced a lot of breath-taking and jaw-dropping matches across 365 days. Unlike T20 cricket where batsmen have dominated the game, ODI cricket has witnessed both batsmen and bowlers get their due share of respect. England has finished the year as the No.1 ODI team with a rating of 126 from 55 matches due to the brilliance of Joe Root, Eoin Morgan and Jos Buttler. 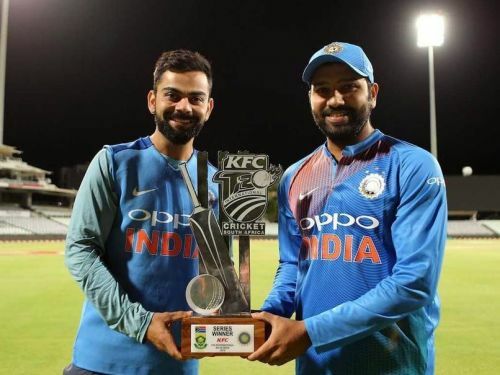 After the end of every cricketing year, awards are presented to deserving players of each format of the game by the International Cricket Council (ICC). These awards have been presented since 2004 and the ODI Player of the Year Award is currently held by Virat Kohli. A lot of cricketers have shown consistency in their performances and stand a chance to win the ICC ODI Player of the Year Award. Here, we take a look at those cricketers who might win the prestigious award. 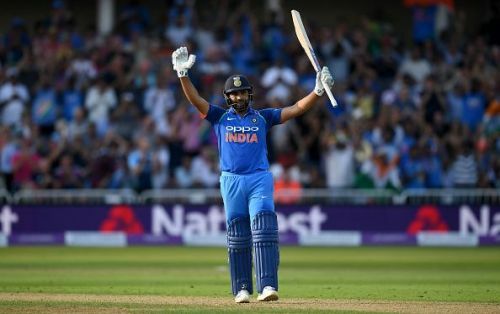 Rohit Sharma, India's vice-captain for the shorter formats of the game, has been in stellar form with the bat since the start of 2018. In addition to providing explosive starts at the top of the order, he has perfectly aided Shikhar Dhawan at the other end as an opener. He has also shown great consistency in his performances and has got the team off to flier starts. He has also proved to be a great leader in the absence of Virat Kohli. He has scored a terrific 1030 runs from 19 ODIs in 2018 at an average of 73.57 and a strike-rate of 100.10. He also played a memorable knock of 162 from 137 balls against West Indies this year. Having displayed such glorious batting skills, he might have a chance to bag the ICC ODI Player of the Year Award.